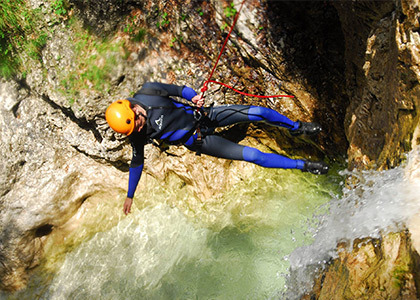 If you are adrenaline hunter and adore the magic of the water, we have for you the best adventure in your lifetime! 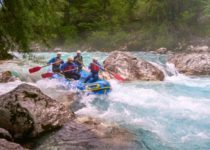 You will exploring the secret water trails, jumping in natural pools, sliding down the waterfalls, floating down narrow passageways, cascading down chutes and admiring unspoilt nature. We promise you awesome feeling and unforgettable memories! 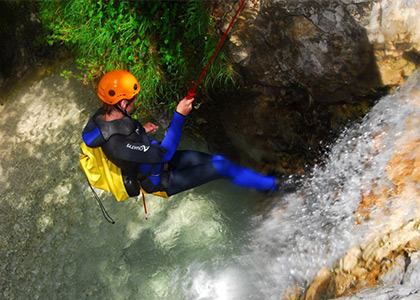 And no worry – no previous experience needed, it is not extreme or dangerous – canyoning is an adventure for everyone! 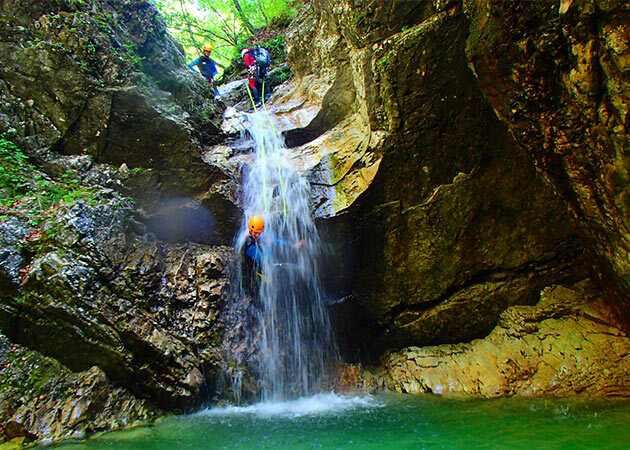 Canyoning adventures is a journey unlike any other! 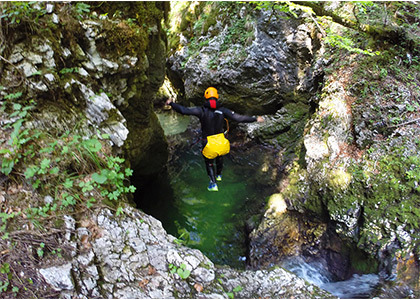 Slovenia hides several picturesque gorges which offer us exploring normally inaccessible trails. After a short ascent you come to the beautiful canyon which offers you plenty of water fun. 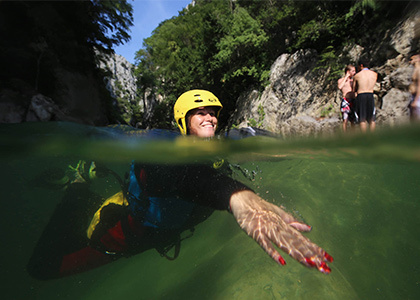 You will be climb, swim and float through an amazing world of water- sculpted rock, deep clear pools and spectacular waterfalls. 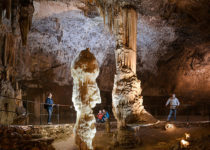 You don’t need any previous experiences, our professional guides will assess your ability and give you substitute routes where you feel uncomfortable. 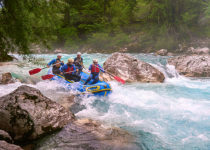 You can pick the level of your water adventure and will get all necessary guidance. 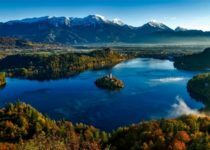 Licensed mountain guides (CIC) who are highly specialized will take care for your safeness and all your equipment. 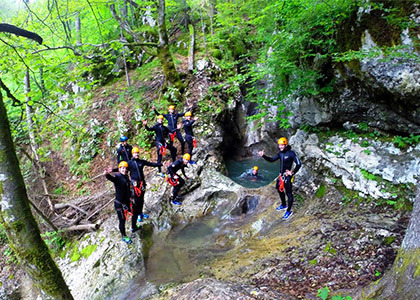 They are canyoning professionals, so they are responsible for extensive safety instructions all the way down. Departure time: by agreement (minimum 2 guests).